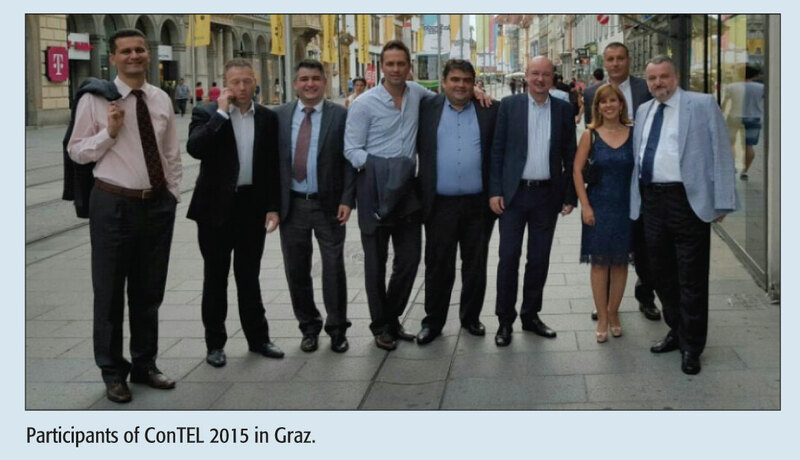 The International Conference on Telecommunications (ConTEL) 2015 was organized by the Faculty of Electrical Engineering and Computing, University of Zagreb, Croatia, and the Institute of Microwave and Photonic Engineering, Graz University of Technology, Austria. ConTEL 2015 was technically co-sponsored by the IEEE. 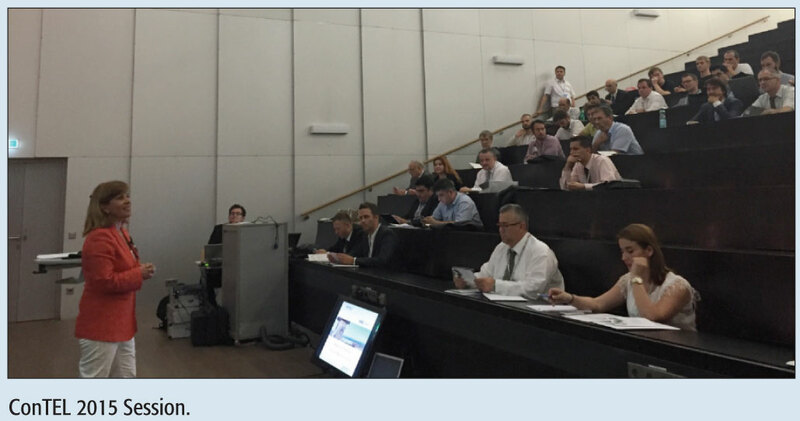 This year ConTEL celebrates the 13th issue of bi-annual events, and after 2011 as an alternate to Zagreb in Croatia, it was hosted again by Graz University of Technology 13–15 July. ConTEL 2015’s program is a platform for scientists, industry, operators, and service providers to share ideas, discuss recent advances, to exchange their R&D experience, and present state-of-the-art techniques. The ConTEL 2015 technical program comprised keynote talks, a general track, special sessions on smart cities and multimedia services, as well as a workshop on future regulatory challenges. The special sessions were on “Design and Evaluation of Interactive Multimedia Services and Applications” and ”Smart Cities: Crowdsourcing and M2M Communication for a Connected Society”. The special session included 12 papers, whereas the general track comprised eight sessions with 37 papers to be presented, both selected from more than 100 valid submissions. Each paper was evaluated by at least three independent reviewers with respect to their technical content, novelty, originality, and presentation. Overall, the review process involved 148 reviewers and 331 reviews. Keynote and invited talks were presented within plenary sessions. The first keynote, entitled “Overcoming the Optical Networks Capacity Crunch”, was given by Peter J. Winzer, head of the Optical Transmission Systems and Networks Research Department at Bell Labs, Holmdel, NJ, United States. The second keynote, “Discovering the NFC Air Interface”, was presented by Michael Gebhart, System Expert at NXP Semiconductors, Austria. The third keynote speaker was Magdy A. Bayoumi from the University of Louisiana at Lafayette, United States. In the context of the Fifth Workshop on Regulatory Challenges in the Electronic Communications Market, Fatima Barros, Professor at the Lisbon School of Business and Economics and 2015 Chair of the Body of European Regulators for Electronic Communications, spoke about the “Regulatory Challenges in a New Digital Eco-system”. Her speech concerned the anticipation of the new regulatory requirements and challenges at both the national and EU levels to create new opportunities for growth and innovation. In contrast to the papers submitted for the general track, or special sessions, the 12 contributors to the regulatory workshop are based on extended abstracts. The research papers session on “Regulatory Challenges in the Electronic Communications Market” was a joint session with the main conference. After the session two round tables were performed, the first one with the topic “Digital Single Market”, and the second one with the topic “Broadband Networks, Services and Users”. Among others, the contributors, as well as the participants of the round tables, were the heads and of the national regulatory authorities of Albania, Austria, Croatia, Macedonia, Portugal, and Serbia. The conclusion of the debate at the round tables was that the development in technology, in the electronic communications and related markets, as well as the continuous change in consumers’ needs, expectations and behavior, is affecting all sectors of the economy and society, resulting in a new digital economy. New opportunities for growth and innovation are emerging in Europe, and it is crucial that the new regulatory requirements and challenges are anticipated and addressed at both the national and European Union levels, in a coordinated way. Therefore, to make the most of the European digital economy, it is necessary to break down existing barriers, and use a holistic approach to promote the required cross-sector measures. The Digital Single Market Strategy for Europe, presented by the European Commission, goes in this direction and identifies the key role of telecommunications and the importance of appropriate regulation. Therefore, the main regulatory challenges are related to the fair treatment of players on new and cross-sector markets, demand take-up, and the promotion of competition as the main driver for investment in new infrastructures. In order to meet the long term connectivity needs of the European Union, exploit innovation, and capitalize on the new digital economy, European regulators will need to have an active role and regulate and deregulate as and when needed. The next ConTEL conference is scheduled for 2017 in Zagreb, Croatia.